Surrounded by the countryside around Benimussa, halfway between the towns of San José and San Rafael, you will find this beautiful finca. The quiet finca is restored with a sense of authenticity. The living room is stylishly decorated. The wood-beamed ceilings, tiled floors and wooden furnishings add to the authentic look. Antique wooden doors lead to the covered terrace. 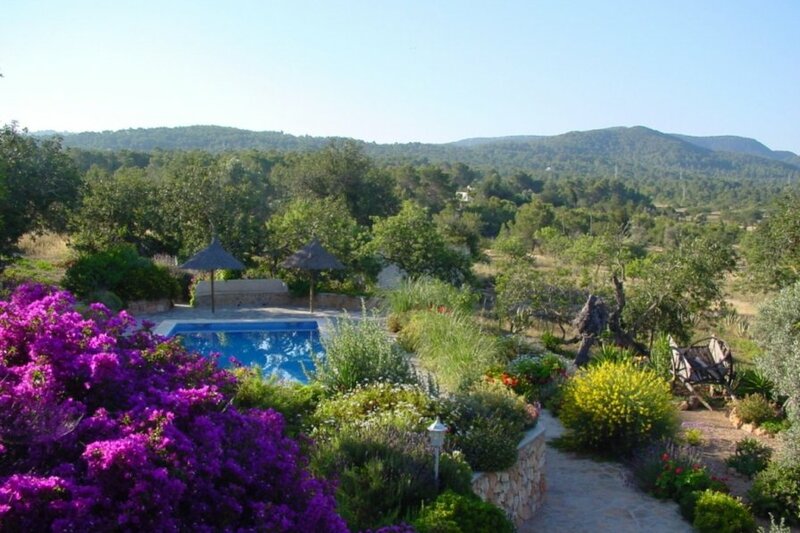 In the beautifully landscaped garden is the beautiful swimming pool. And around the pool is a sun terrace with thatched umbrellas, so you can also relax in the shadow. In addition, you have access to a pool house with a sitting / dining area and an outdoor kitchen, where you can enjoy a barbecue in the evening. Beach enthusiasts can also indulge themselves. You are within a 10 minutes drive from one of the many beaches on the southwest coast, such as Cala Conta. The villages of San Jose and San Rafael are also reachable within 10 minutes. And of course a visit to Ibiza-town, which is only a fifteen minutes drive from the finca, is a must. Stroll through the narrow alleys lined with trendy boutiques, hippy stalls, cafes and nice bars and end the day with a delicious meal at one of the many restaurants. There is in the suite bedroom airconditioning and all the other bedrooms have a big ventilator put up. You won t need them anyway because a finca always says nice and cool inside.